Phil Murray, chief exec of oil and gas technology firm Petrotechnics. Oil and gas industry bosses have reported a negative impact on offshore safety from lower oil prices despite firms’ good intentions. 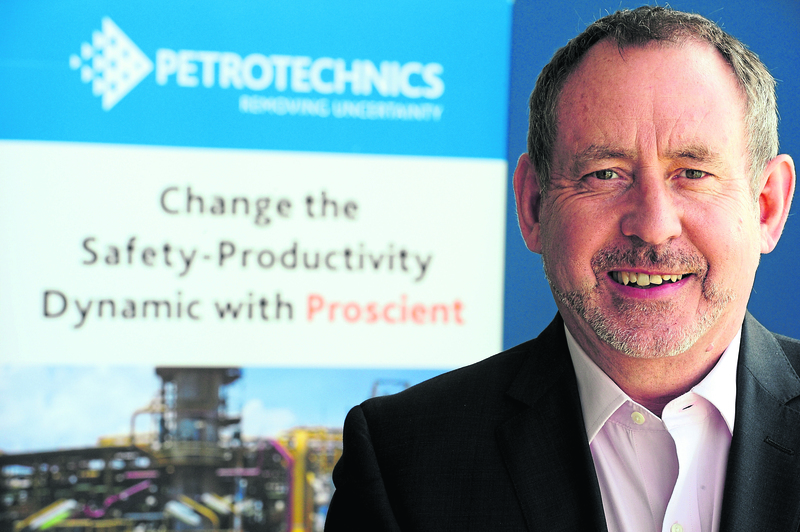 Aberdeen technology company Petrotechnics quizzed more than 100 senior oil industry leaders in its third annual process safety and operational risk management survey. The findings reflect the views of bosses at businesses of all sizes around the world. Nearly three-quarters (72%) said they believed lower oil prices, compared with before the slump in crude prices, have had a moderate or significant impact on process safety risk, characterised by major job cuts and “belt-tightening”. More than half admitted there was “resource tension” between safety-related projects and competing spending priorities. And three-quarters (75%) said conflicting priorities were the main factor in reduced scheduled maintenance. Despite all of this, more than four-fifths (83%) insisted safety was embedded in their companies’ corporate values, supported by top level management. Petrotechnics chief executive Phil Murray said the “very candid” survey responses showed the extent of the “squeeze” on spending. They also highlighted a growing gap between good intentions and “operational reality”, he added. Last year, 70% of survey participants said there were gaps between process safety plans and what actually happens at the plant or asset. The latest survey put the figure at 86%. The 2018 study findings should act as a reminder to firms they cannot afford to drop their guard, and that everyone “from the shop floor to the boardroom” has an important role in making life safer offshore, Mr Murray said. Simon Jones,from Petrotechnics, added: “With less budget and staff available, firms are facing difficult decisions about which tasks to complete and when. The findings from this survey will not come as a surprise to workers across the North Sea oil and gas industry. They have for some time been expressing concerns about asset integrity and maintenance on many installations. I say “many” as it is not all installations, and there are some good examples out there. These findings are more evidence, if it were needed, that we need a cultural shift if we are to maintain the continuous improvement objective of the industry. It should serve as yet another warning to under performers in the industry, those who are classed by the Health and Safety Executive (HSE) as “poor” or “very poor”. I would suggest that even those falling under HSE’s classification of “broadly compliant” should take note of the findings, as this is a woeful level of performance for the industry to aspire to. As I’ve said previously, pointing to reductions in lost time injuries or hydrocarbon releases says little about asset and industry integrity. The connection between industry performance, profitability, security of production, workforce engagement and safety is what we need to be measuring. This latest survey from Petrotechnics supports this and I just wish these senior managers highlighting concerns would say them out loud. However, I suspect they are perhaps apprehensive about speaking out in a culture where everyone is not just concerned about safety. They are also concerned about their jobs.